Website selling cut-price Beatles downloads ordered to pay $1m | What Hi-Fi? A website that sold cheap downloads of popular music tracks has been ordered to pay $1m to the rights holders, EMI. Bluebeat.com sold tracks by bands such as the Beatles for as little as 25 cents, around 16p, less than a third of the cost on iTunes, reports the BBC. Company boss, Hank Risan, claimed an unusual defence when brought to court, telling the judge they were psycho-acoustic simulations. He said: "Psycho-acoustic simulations are my synthetic creation of that series of sounds which best expresses the way I believe a particular melody should be heard as a live performance." The US district court judge wasn't taken by the idea and ruled against Bluebeat.com, which has now agreed to pay the substantial damages. The website has now been banned from selling any music licensed to companies that are currently pursuing court action. 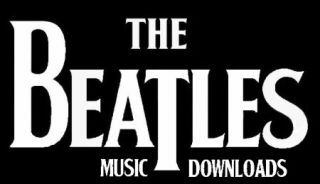 The Beatles' back catalogue went on legal sale on iTunes in Novemner last year.